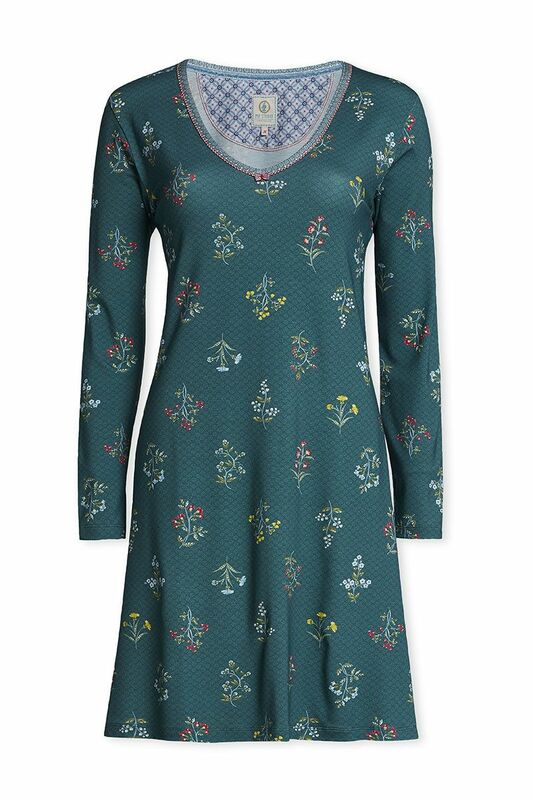 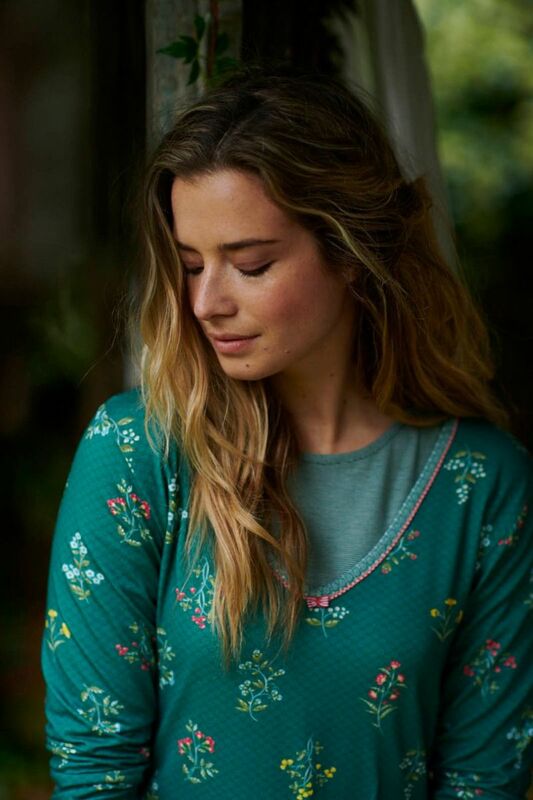 This elegant nightdress in forest green has a pretty neckline and is made of lovely soft viscose. It is printed with the Winter Wonderland pattern: colourful flowers and berries with the Dotty Star print as a backdrop. 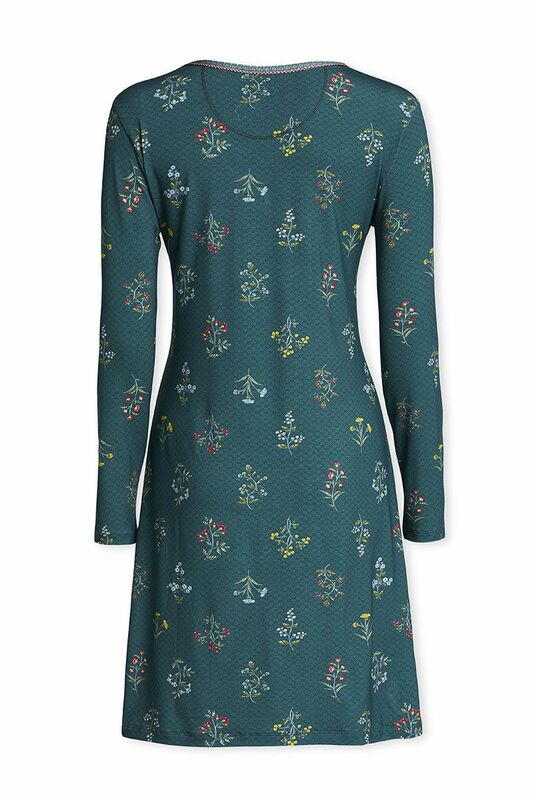 The neck as a checked flat trim.